It’s a brilliant idea. 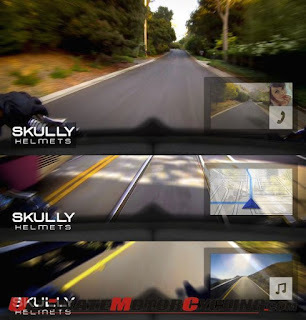 HUD, rear view vision, LED dark switch visor, the Skully AR-1 has it. But there is one problem. No-one has got one yet. In a statement made by the company recently they promised they would be shipping by the holidays this year, let's hope they can deliver because I reckon this is the most promising tech I've seen in a long time. 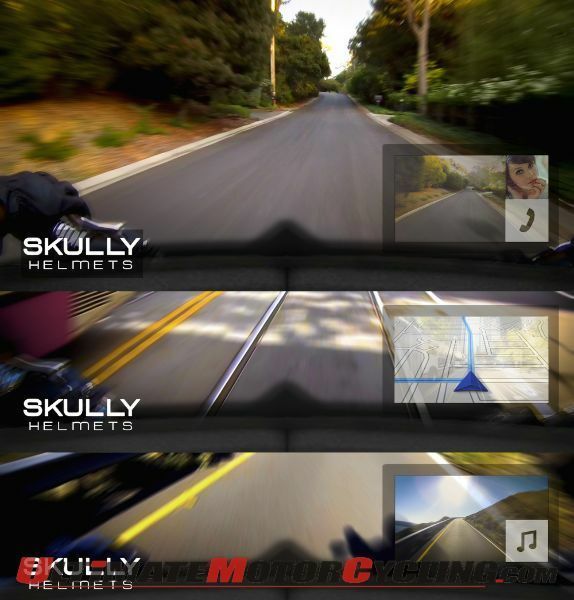 I’ve written about some of the other integrated helmet HUD things before, so let’s move on. 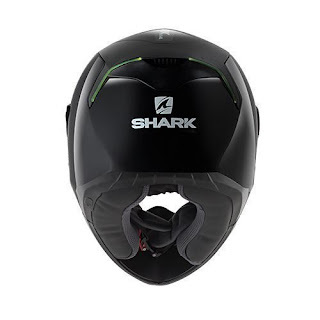 I stumbled upon this helmet - the Skwal - made by Shark, it has integrated LEDs built into the front and the back of the actual helmet. I actually like it. 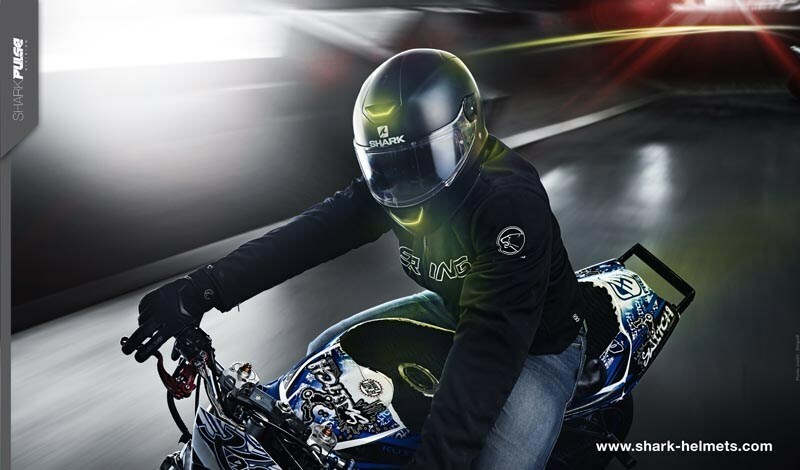 But I don’t know if it will achieve anything like increased visibility to other riders and le-sigh, cagers, or just look super cool; like these jazzy images from their site that explain it all perfectly. See the Shark site for more info, or just in case you aren't sure yet, here is another brilliant piece of art that should help explain. In the meantime take a look at this super jazzy graphic. That should make you buy it for sure. If that doesn't work, then I bet you at least wanna look at least as cool as this guy. While it is beyond my technical ability to give you any real knowledge, I understand it to be a significant leap forward for Ducati being able to independently control valve input and output timing. Means it goes heaps faster, more smoothly. If ABS wasn't already enough to get to deal with, some clever people at Bosch went ahead and developed 'Cornering ABS’ back in 2013. BMW have adapted it, and call it ABS Pro and it now comes in a range of 2016 models. 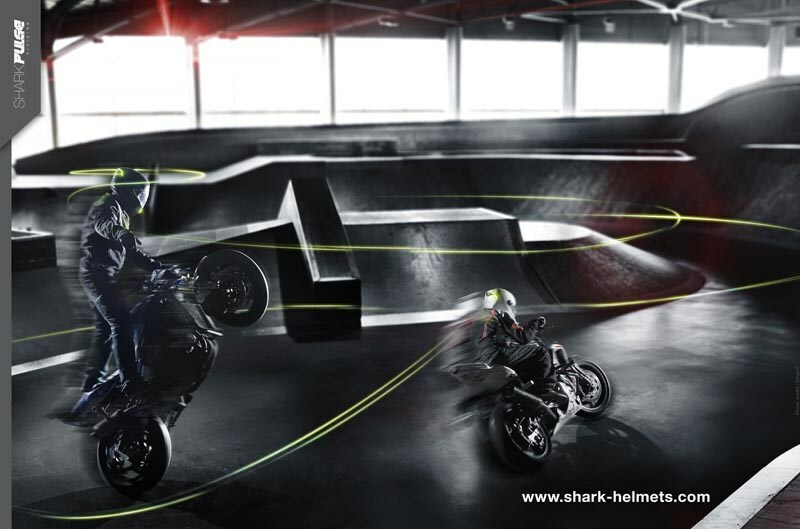 The latest Ducati Multistrada matches it blow for blow with their version of DSP (Dynamic Safety Pack). Developed initially by Bosch in conjunction with Ducati, in laymen's terms a computer makes regular rapid assessments of your cornering lean angle and wheel speed, and applies brake pressure allowing you to concentrate on turning. Sounds totally whack to me, but so did ABS a few years ago until I learnt how good it was living with the Multistrada. The mind boggles at exactly what this weird cornering braking system will actually feel like on a bike, but I’m positive it will help ham-fisted front brakers who tend to panic brake mid corner - in the rain. Ahem, me. The only bike I could find this actually fitted on right now was the BMW K 1600 GT and GTL. Whether you 'get it' or not, if you have ridden at night you know that as you tip your bike the lights naturally illuminate the wrong part of the corner. Not any more, BMW the clever clogs have developed ‘adaptive headlight technology’ that means that the headlight tilts according to your lean angle. Neato Magilla Guerilla. 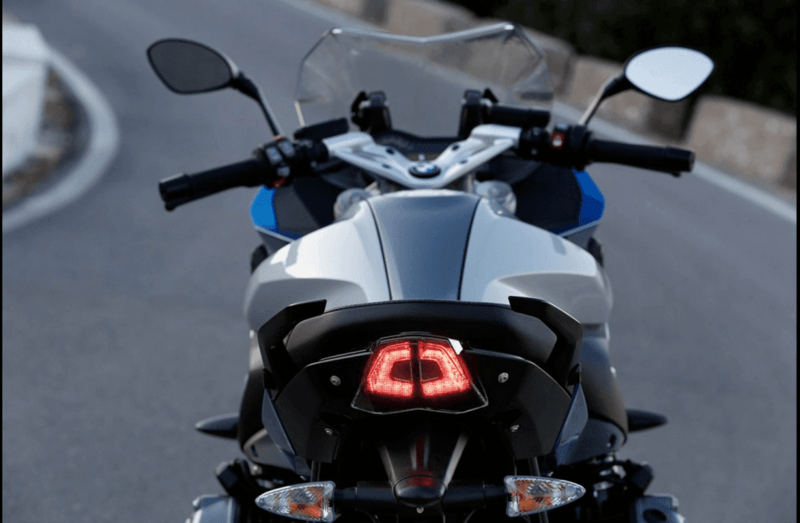 Daytime running lights improve your visibility to cagers, and although it’s no mind bending tech, it’s kind of a new thing to me, a guy who grew up in the country riding XT Yamahas and other such drum brake enabled machines. In the image below, that strip running down the centre is a LED daytime running light as found on the S1000XR. It's blindingly bright, and pretty cool looking. I had a bad Ducati experience with Keyless ignition, but Steve assures me the BMW Keyless ignition is much better, and let’s hope so as keys really are SUCH a bother. Only kidding, but seriously who would of thought twenty years ago that we wouldn't even need to put a key in an ignition barrle to start our bike? Not me, that's for sure. This isn't exactly new and is slowly becoming more commonplace yet and I thought worthy of a mention. This is basically electronic active suspension for telescopic forks. Skyhook Suspension sounds way better. More computer controlled wizardry that I currently have in the S1000R and it really is nothing short of amazing. Here is a good summary from Ducati on what their DSS is, and does. Loads of brands are dragging New out of the Old, and the Africa Twin -Honda CRF1000L is no different, although Honda have decidedly upped the ante with the new Africa Twin - a 1000cc parallel twin. 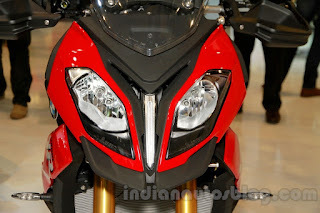 The most intriguing part however is DCT (Honda Dual Clutch Transmission) as an option for the new Africa Twin. It acts like an automatic gearbox without the need for any clutch or upshifts. It can also do a weird thing where you can change gears via a button on the bars. Wicked! The idea of Dynamic Brake Lights is to warn other drivers that you are braking harder than usual. It comes with ABS Pro, the cornering ABS system I mentioned above. I am a bit baffled by what it does, activating in two stages - the first one when you brake above 50km phr and the second stage when the vehicle slows below 12km phr and apparently flashing your hazards. 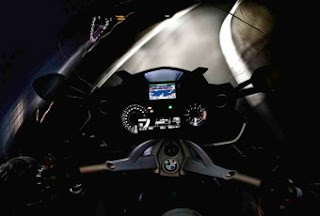 Both these safety features are part of the Ride Modes Pro package, which will be available as an option for the 2016 models: R1200GS, R1200GS Adventure, S1000XR and come as standard on the K1600GT & GTL luxury tourers. My only hesitation about this unique idea is, how will anyone know what a flashing brake light means on a motorcycle? Cagers certainly won't have read or heard about this new tech so what will they think it means? Broken tail lights? No word on it making here to Australia anyway, so we'll wait and see. And just last of all to top of a huge week in motorcycling, check out the latest sales figures on motorcycles Down Under. Lots of people buying lots of motorcycles - excellent! Are you a fan of new technology or totally against it? Lemme know in the comments belooooow.